About Our Company – G Squared L.L.C. We recognize the need to balance fast response with accurate results and strive to provide these qualities while finding the most cost effective means of completing your project. 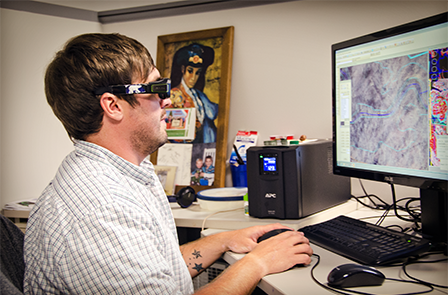 G-Squared provides quality photogrammetric services to private and government engineering and planning communities. Our many years of personal experience enable us to design and implement most photogrammetric projects to best suit the clients’ needs and budget. Recognizing that people, not computers, make maps, we have staffed G-Squared with career photogrammetrists and cartographic technicians. These individuals have years of experience and strive to produce quality maps that they are proud of. At G-Squared we believe that delivering quality products truly is a team effort and not just a slogan. We welcome the opportunity to introduce this special staff to our clients. G-Squared is a photogrammetry engineering firm, staffed and tooled for massive and efficient photogrammetric production. G-Squared has been in continuous operation for over 19 years under the same management. 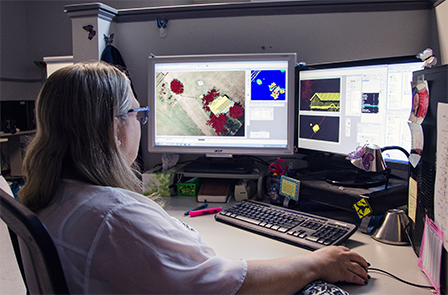 The firm has proven experience in delivering topographic and image data sets exceeding ASPRS Standard for Class 1 Map Accuracy, National Map Accuracy Standards. We are owned and managed by a certified photogrammetrist who has over 25 years of experience in the government, transportation, and private markets. We can assist you in the design of your mapping project, whether it’s a small subdivision site or an entire county.